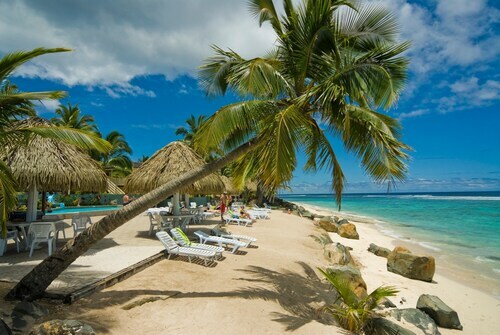 See all 125 properties in Rarotonga Intl. 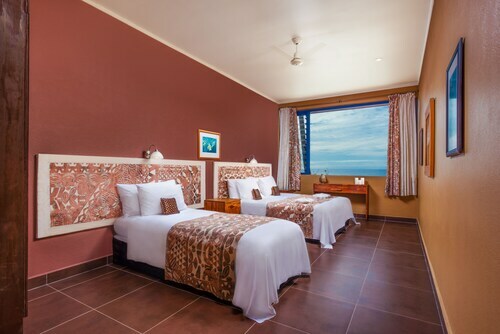 Located in Rarotonga, this beachfront hotel is in the city center and within 1 mi (2 km) of Cook Islands Whale and Wildlife Centre and Punanga Nui Market. Rarotonga Golf Club and National Stadium are also within 2 mi (3 km). Located in Avarua, this villa is within a 15-minute walk of Cook Islands Whale and Wildlife Centre and Punanga Nui Market. National Stadium and Para O Tane Palace are also within 2 mi (3 km). 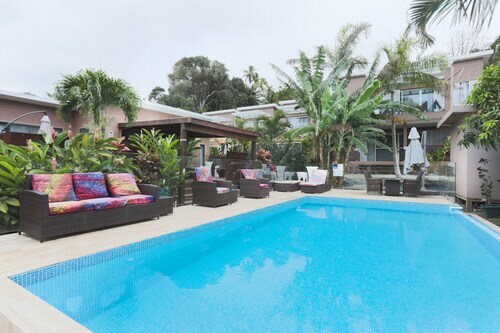 Located in Avarua, this motel is within a 10-minute walk of Cook Islands Whale and Wildlife Centre and Punanga Nui Market. Para O Tane Palace and National Stadium are also within 2 mi (3 km). 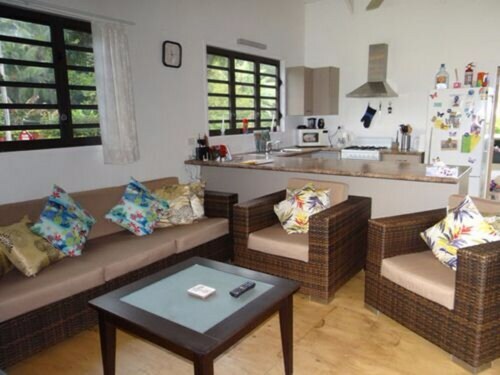 Located in Avarua, this vacation home is within 1 mi (2 km) of Punanga Nui Market, Para O Tane Palace, and Cook Islands Whale and Wildlife Centre. Cook Island Christian Church (CICC) and Cook Islands Library and Museum are also within 1 mi (2 km). 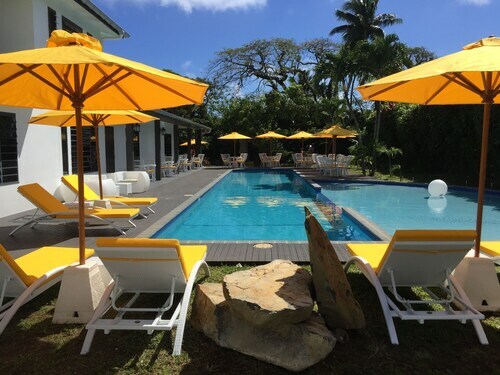 Situated near the beach, this vacation home is within a 15-minute walk of Rarotonga Golf Club, National Stadium, and Black Rock. Cook Islands Whale and Wildlife Centre and Punanga Nui Market are also within 3 mi (5 km). 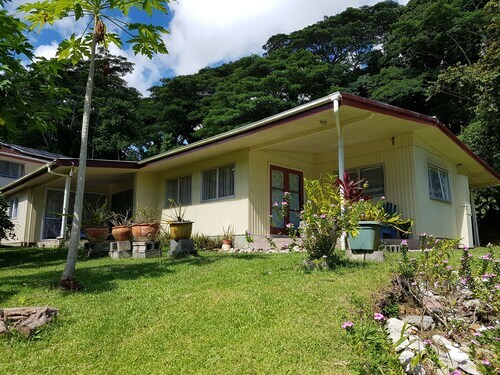 Located in Avarua, this bed & breakfast is within a 15-minute walk of Punanga Nui Market, Para O Tane Palace, and Cook Island Christian Church (CICC). Cook Islands Library and Museum and Cook Islands Whale and Wildlife Centre are also within 1 mi (2 km). 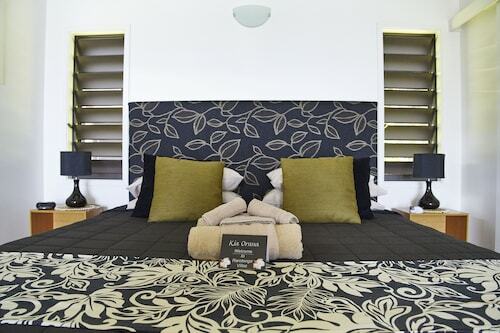 Nestled on the beach, this Rarotonga villa is within a 10-minute walk of Rarotonga Golf Club and Black Rock. Puaikura Beach and National Stadium are also within 3 mi (5 km).